← Who cares for the caregivers? This past Monday I felt like I was doing penance and living in purgatory. I’m referring to the torment that comes from sharing a space with thousands of beautiful calories beckoning like Sirens, and having to turn my back on them. 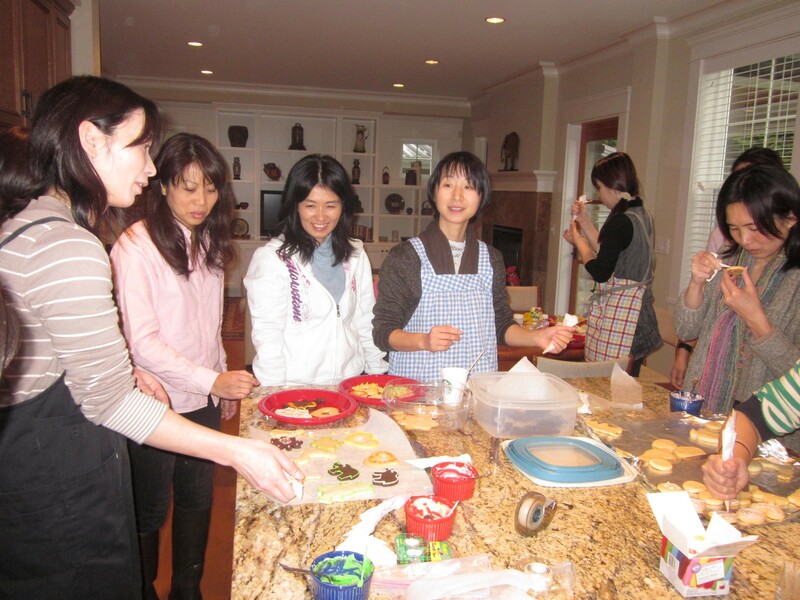 The occasion was a “field trip” for the Talk Time (English conversation) group my friend Linda and I lead. 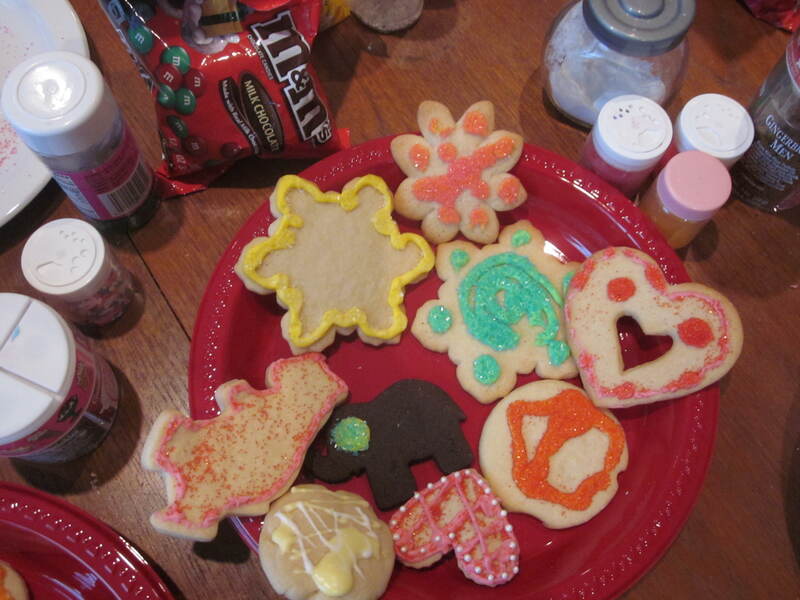 All twelve “students” came to my house to decorate cookies. My torment came in two phases. Sunday I baked about fifty cookies (as did Linda, the brains behind this project, which was sadistic on her part and masochistic on mine). The ingredients consisted of butter and sugar with a whiff of vanilla and a touch of flour. Monday, I watched the “students” mix three batches of powdered sugar and lemon juice, thinned to the consistency of oil paint, and squeeze it through a paper cone onto their calorie-laden canvasses. Only after I ushered the last cookies and snacks out the door did I feel relief. Now that this test is over, I can see it was not so much an ordeal as good preparation for the next trial, which starts in a week. I’ll be dining out for breakfast, lunch and dinner with three different groups of friends within a two-day period. I may choose to spend those two days in Heaven. This entry was posted in humor and tagged dieting difficulties. Bookmark the permalink.